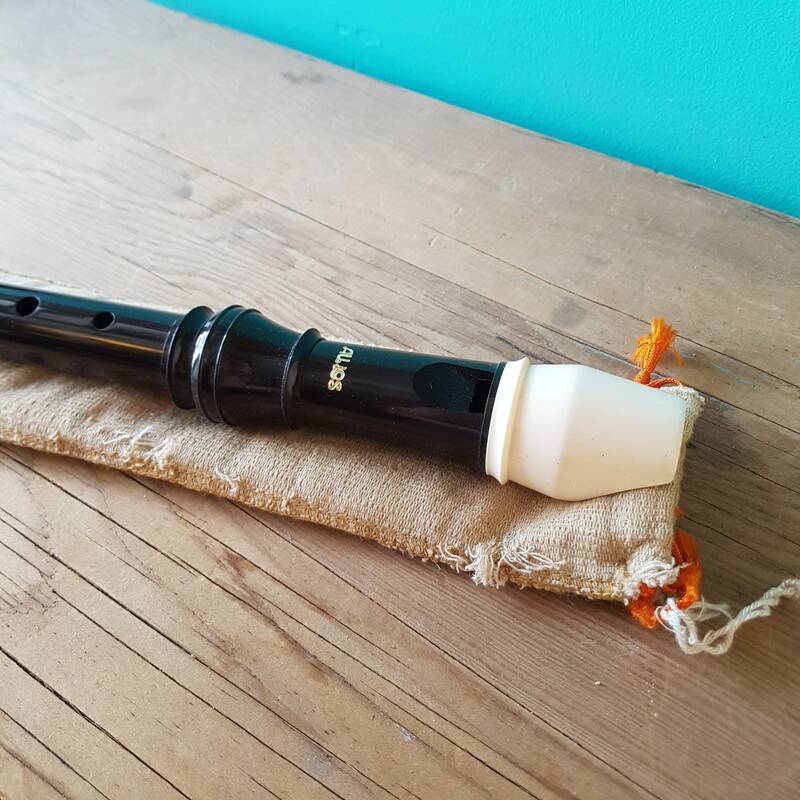 For over 50 years The Toyama Musical Instrument Company has produced award-winning and superior quality ABS plastic recorders under the AULOS brand name to enable school children to learn on the best instruments possible. 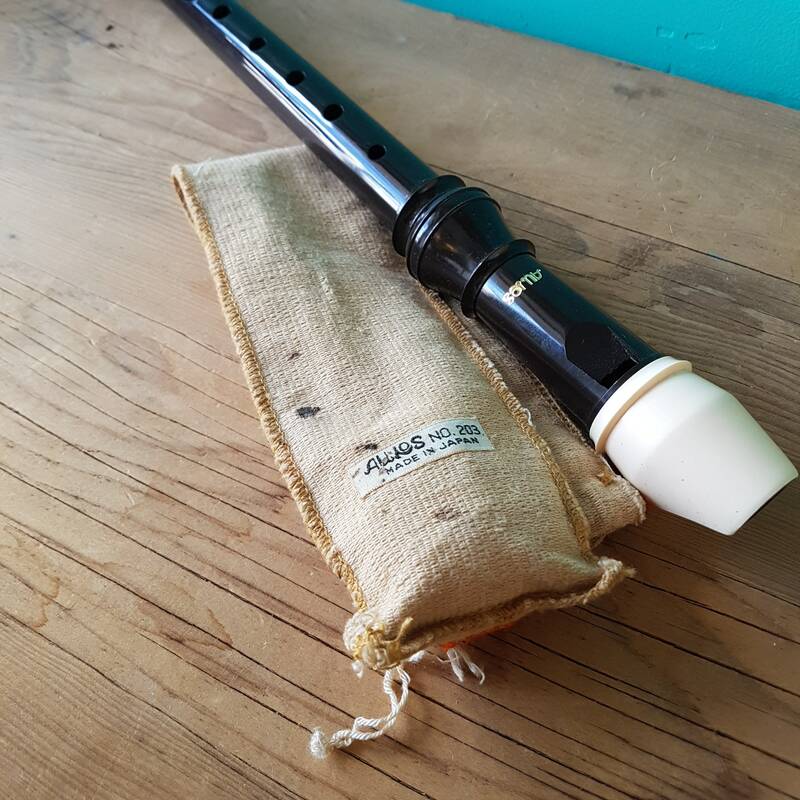 The trade mark “AULOS” is taken from Greek mythology meaning the Wind Instrument with double reed. 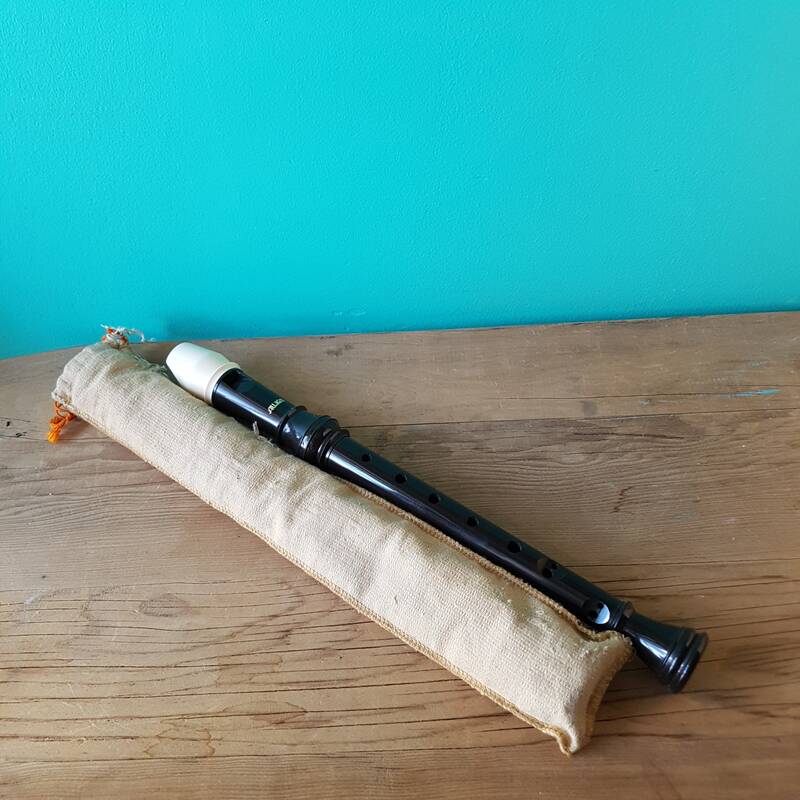 AULOS recorders are currently used in schools in more than 50 countries worldwide. 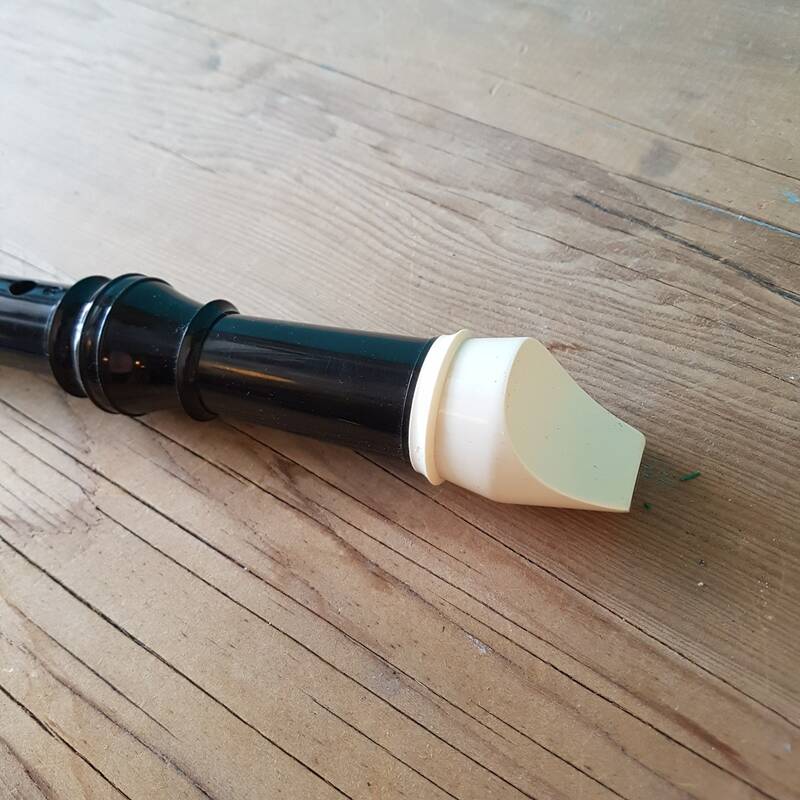 In addition to recorders, high precision instruments such as the Flauto Traverso have been successfully manufactured from the specially made resin. 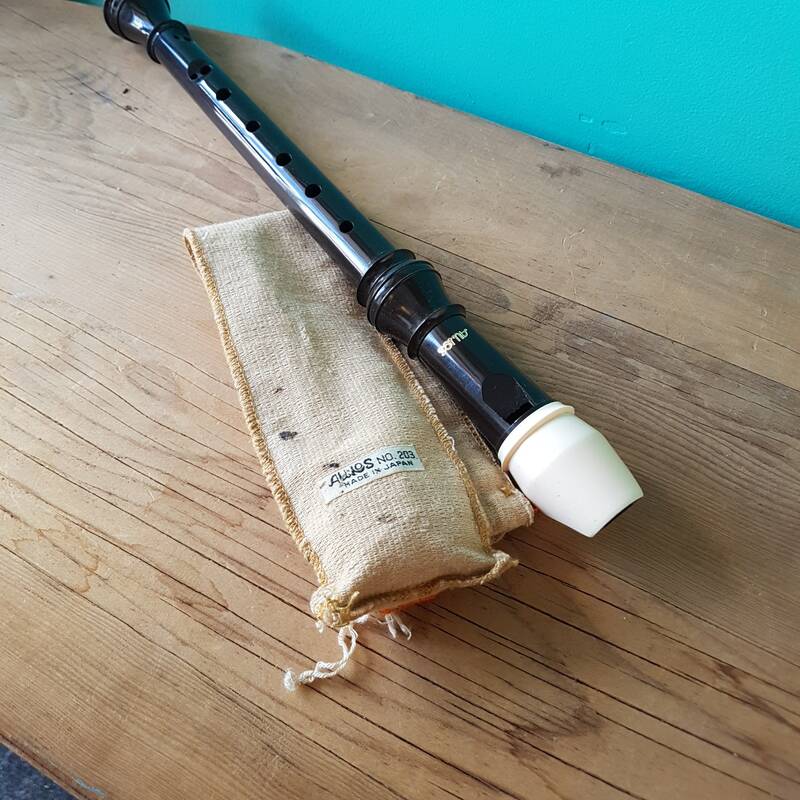 This recorder is in good vintage condition and comes with the original fabric pouch. 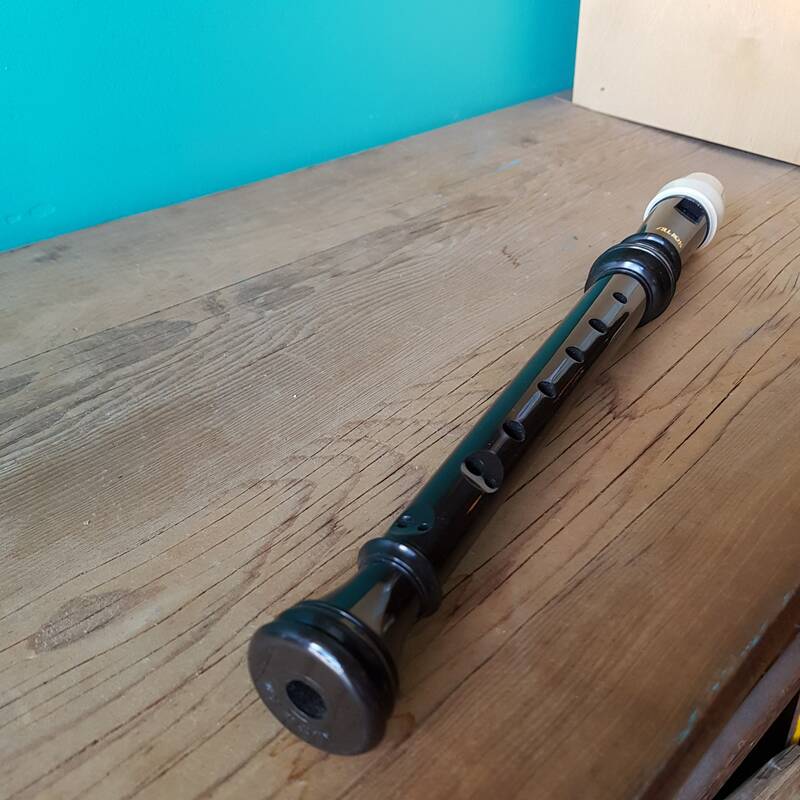 Specially designed for the beginning student. 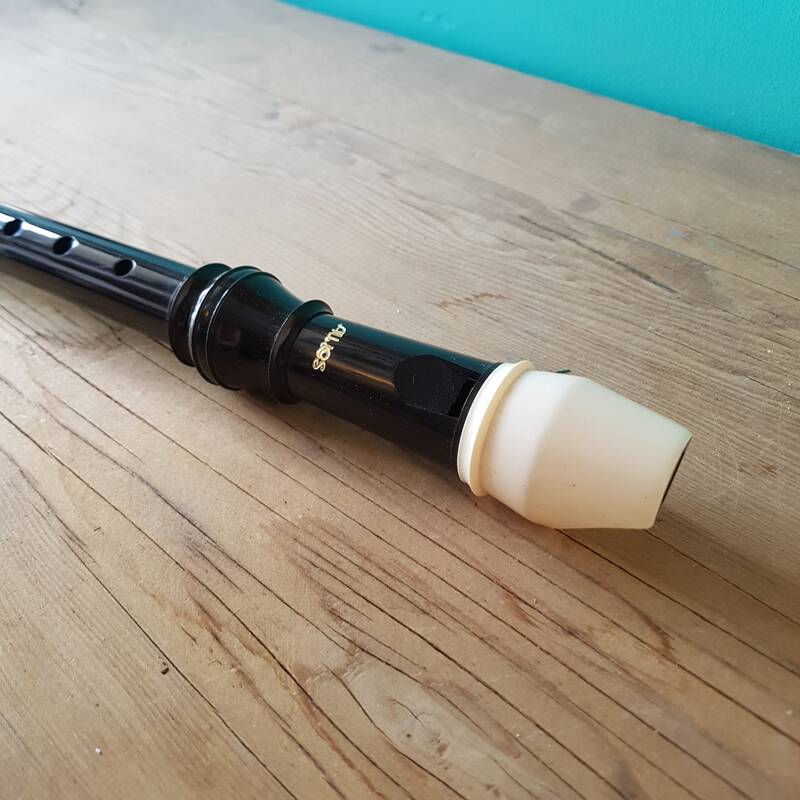 Perfect for solo or group playing. The built-in thumb rest places the right hand in the correct relaxed position. Curved windway. Single holes for low C and D provide ease of playing in the lower registers.